During school this year, Brendan learned about China and found out that the giant panda is endangered. He became very concerned about this and wanted to do something to help. 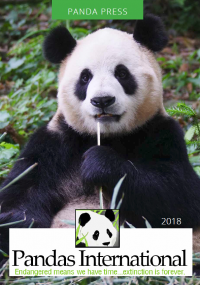 He researched how best to help pandas and different organizations to support and decided to hold a “Save the Pandas” charity event to support Pandas International since the money all goes to the pandas. He started by planning out the event, setting a date and sending invitations (I helped with this part). He decided to hold a craft and bake sale and invited some friends (Maia and Alexa) and his sister (Juliana) to help. They all worked together to decided what to make for the event. 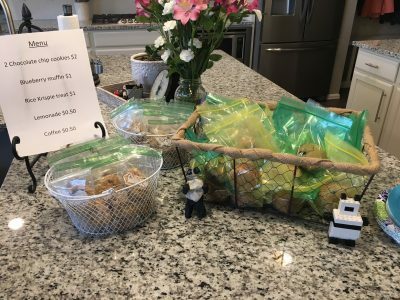 They ended up selling handmade bracelets, necklaces, bookmarks, and slime as well as chocolate chip cookies, blueberry muffins, rice Krispy treats, lemonade and coffee. There were also a few people who donated gift baskets that we sold raffle tickets for and raffled off. 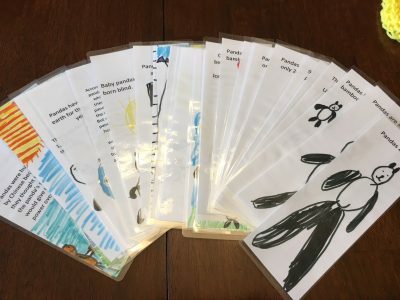 Brendan worked for weeks researching pandas to write facts about them on the bookmarks and spent hours making bracelets and necklaces. The event was for 2 hours and they worked hard to sell their goods. After the event, people who had heard about it but couldn’t attend even sent them money in the mail! Finally after all donations were given, the kids total was $660.51! 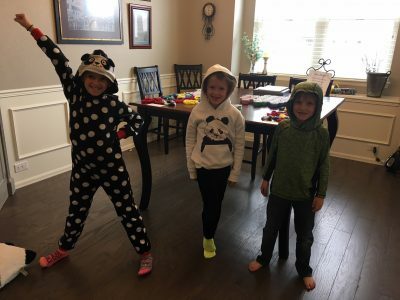 Brendan, Maia, Alexa, and Juliana are so excited to support the pandas and hope to one day visit the center in China. Thank you Brendan, Maia, Alexa and Juliana for your amazing support!